Sports Illustrated recently profiled Nicholas Horbaczewski (MBA 2008), founder of the Drone Racing League—which just signed a ten-episode deal with ESPN. Drone racing works the way you might expect it to: Pilots use remote controls and onboard cameras to navigate quadcopters through obstacle courses at speeds reaching 80 miles per hour. The league launched earlier this year with an event at Miami Dolphins’ stadium—an experience that convinced Horbaczewski of DRL’s promise. The article notes that Horbaczewski’s background in film and media has helped him build a made-for-TV experience. But the ESPN deal, he says, turned on the strength of the company. A turning point in the conversation with the Worldwide Leader, as he described, occurred when network executives realized he and his team were not just pitching the concept of drone racing as others have done—they were pitching the “reality” of what they were already doing. From the state of the technology and the built-from-scratch internal radio system to the various courses the league had planned, ESPN saw an organization with the necessary external and internal pieces to successfully partner with. “Coverage of DRL lets us merge storytelling, technology and competition into compelling weekly content that we believe will appeal to a growing audience,” Matthew Volk, ESPN’s director of programming and acquisitions, said in a statement. 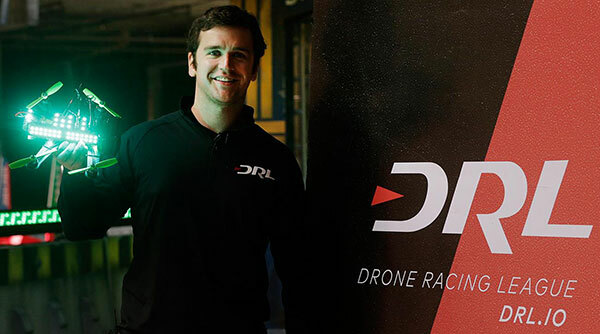 The first episode of DRL on ESPN airs on October 23.